The Florida Camera Club Council 2015 Conference will be the premier photography event in the Southeastern United States. Our theme will be: Wildlife, Nature and The Great Outdoors. You should be there! Registration for the conference is simple. With our online form, you will be able to register for the conference as well as choose one of the off-site outings and one of the on-site workshops. Payment can be made by using a major credit card, or with your PayPal account. We have room for a maximum of 500 attendees. You must register for the main conference in order to purchase an optional off-site outing and/or on-site workshop. If you are not currently a member of the FCCC, you can join before you register for the conference. If you join as a member of an affiliated FCCC club, there is no FCCC membership fee for you. You may need to wait a day or two for club confirmation and approval before you can register for the conference using the FCCC member fees. On the registration page, you will only see the fees that apply to you. Students must upload a scanned image of their photo from their student ID, and present that same ID upon arrival to the conference. Includes all events on Saturday and Sunday including breakout sessions, on-site photo ops, the trade show, and coffee and danish both mornings. Lunches and dinners are "on-your-own" at FGCU venues or nearby restaurants. Friday morning off-site photo outings and Friday afternoon workshops are a separate fee (see sections below). We have 16 of the best photographers in the world on the program. Expand the panel below, and click on each speaker's name to read their bios and learn about their participation in the conference. We know you will be impressed. The theme for the Conference is: Wildlife, Nature and The Great Outdoors. Take a photo outing on Friday morning with one of our world-renowned photographers! One of our professional speakers will accompany each photo outing to give you tips, answer your questions, and work with you one­-on-­one to capture some great images. Group sizes will be small... 15 to 40 photographers depending on the site, which means you’ll have plenty of time to interact with the professional for tips and advice. You will have approximately 2 hours at the site plus our experts will provide a talk on the bus to help prepare you for a great morning. All this for only $75.00, which covers coffee and sweet rolls prior to departure for the site, the bus ride to and from the site, and one-on-one time with the professional photographer at the site. It's a bargain and an opportunity you don't want to miss. Sign up now - space is limited. Canon will have a limited number of loaner lenses available for any Canon camera owner going on one of the Photo Outings. You can sign out a loaner lens before your bus departs for your Photo Outing location. Arrive early if you want a loaner lens! If you are a Nikon body owner, you'll have the opportunity of borrowing a lens from Nikon if you'll be going on one of the Photo Outings. Make sure you arrive early, well before your bus departs, so you can sign out a loaner lens! Our photo outings will take place Friday morning, March 6. The outings allow you to visit some of the most interesting and photo-worthy sites in the area. You will have 2-3 hours at the site to capture award-winning images. One of our professional photographer speakers will accompany each photo outing. The pro will spend one-on-one time with each participant to provide tips and answer questions about how to capture great images. The descriptions of the outings include the name of the pro assigned to each outing (some are already assigned; some will be assigned soon). Don't miss this opportunity to get great tips from some of the world's best professional photographers! The photo outings will begin at Sugden Hall on the Florida Gulf Coast University campus. We provide bus service to the sites. During the bus ride, our pro will provide interesting commentary and tips. Each photo outing has a specific start time, so check the description of the outings to determine the time. Plan to arrive early because we'll have coffee and danish for you before you board the buses. There is a separate fee of $75.00 for these pre-conference photo outings. The fee covers the morning coffee and danish, the bus rides, and any entrance fee to the site. You will be able to attend only one outing, since they run concurrently. There are 6 photo outings from which to choose. You can select, register, and pay for the outing of your choice during your online registration. Gear Note: We suggest you bring your camera, a selection of lenses, a tripod, and an on-camera flash unit, at a minimum. However, you can bring as much or as little gear as you want and still capture some great shots. Some outings restrict the use of tripods, so check the descriptions carefully. Space on each photo outing is limited, so make your reservation early! The Six Mile Cypress Slough Preserve is over 3,400 acres of a wetland ecosystem. A myriad of animals like otters, alligators, turtles, wading birds, wild pigs, and more live at the Slough year round. Others, like migrating birds and butterflies use the Slough as a feeding area or a winter home. There is a butterfly garden and two boardwalk loops; the longest is 1.2 miles. Little Estero Lagoon offers a great opportunity to see a wide variety of shorebirds and waders along with a few raptors. Some of the more popular species are oystercatchers, rosette spoonbills, reddish egrets, ospreys and bald eagles. This is a favorite location for commercial photo trips. 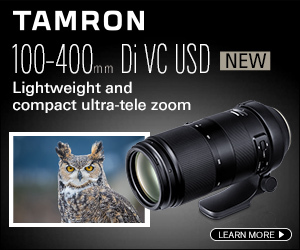 Great photo opportunities with a long lens (500mm) or a zoom (70mm to 300mm). Tripods suggested. Kowiachobee is a non-profit animal preserve and home to 100+ animals, including: lions, tigers, leopards, panthers, bobcats, horses, goats, fowl, rabbits, exotic birds ostrich, alligator, etc. There are numerous camera holes in the cages to facilitate the taking of photos of the exotic cats. Many of the other animals are loose and wandering the facilities. Good lenses are 24mm to 70mm, and 70mm to 300mm zoom lenses. Tripods are discouraged. Shy Wolf Sanctuary is home to more than 50 rescued animals including wolves, wolf-dogs, coyotes, a florida panther, a bobcat, various foxes, prairie dogs, and gopher tortoises. Accompanied by a volunteer, you will be allowed to photograph inside many of the enclosures and through enclosures for less "friendly" animals. Good lenses are 24mm to 70mm, and 70mm to 300mm zoom lenses. Tripods not allowed. Harns Marsh Preserve is a 578 acre water resource known for having over 140 species of animals and wading birds, including: sandhill crane, great egret, snowy egret, great blue heron, little blue heron, green heron, tricolored heron, black-necked stilt, kildeer, limpkin, white ibis, glossy ibis, roseate spoonbill, wood stork, and the possibility of swallow-tailed kites and snail kites. There is a 4-mile hard-pack walking trail around the perimeter. Take a photo walk through Old Naples, which offers a variety of interesting architecture, historic buildings, and flora. The iconic Naples Pier is a favorite spot for photographers and a short walk from the 3rd Street area. Each workshop will last 2 to 2½ hours. You will not only hear some great presentations by some of the world’s best photographers, but you will also have the opportunity to ask questions and get answers from the experts! There is a separate fee of $50.00 for these pre-conference workshops. You will be able to attend only one, since they run concurrently. There are five workshops from which to choose. You can select, register, and pay for the workshop of your choice during your online registration. Seating is limited, so make your reservation early! The Workshops will occur on Friday, March 6 at Sugden Hall on the Florida Gulf Coast University campus. Each Workshop will begin at 1:30 p.m. and end at 4:00 p.m. or earlier, depending on the number of questions asked during the session. The Workshops are a great opportunity to spend about 2½ hours with one of the world’s best photographers! Because of the extended time for these sessions, you will learn more, see more, and have more opportunities to have your questions answered than you will during our normal breakout sessions. Don't miss this opportunity - sign up now. The speakers and their topics are listed below in alphabetical order by speaker. You can select any of the Photo Ops during any of the time periods. The Photo Op times and locations will be printed in the Conference Program that you will receive at the registration desk. We will also have signs directing you to the Photo Ops. We will have two indoor Photo Ops and two outdoor Photo Ops. Have you ever photographed a waterdrop splash? At our Waterdrop Splash Photo Op you will see a number of Nora Peek's waterdrop splash photographs showing multi-colored backgrounds and designs reflecting in the water. Her waterdrops are unlike any you've seen before. You will have an opportunity to learn Nora's method firsthand. Her husband, Tom, has a technique to help you get your timing just right. Bring your camera and flash, your tripod, and your patience. You're guaranteed to come away with an exciting photograph of a waterdrop splash. It has been said: "Waterdrops are like snowflakes; no two are alike." Join professional photographer Mike Matthews at this unique opportunity to try macro photography of some of the most unusual subjects. You will have the opportunity to photograph 5-6 species of exotic reptiles and amphibians, capturing stunning photographs that would be hard to duplicate, even in the wild. Photograph classic cars and muscle cars brought to us by the members of the West Coast Muscle Car Club. Each time period will feature a different mix of cars. You will be able to get up-close and photograph interesting details of the cars. George Lepp is our Keynote Speaker. George is a Canon Explorer of Light and is sponsored by Canon. George’s 90 minute Keynote Address is titled: No Limits: Extreme Capture Techniques in Nature Photography. The versatility and power of today’s DSLR have literally revolutionized nature photography, but for George Lepp each new advance fuels creative vision and moves us closer to the limitless photographic environment he craves. In this program, George shares the capture techniques and technology he's developing and using right now, in the wild and in the studio, including achieving unlimited depth of field in both high-magnification and landscape photography; conveying action through time and space; and capturing intimate wildlife studies with extreme telephoto camera/lens combinations. George D. Lepp is one of North America’s best-known contemporary outdoor and nature photographers and a leader in the field of digital imaging. George is the author of many books and the field editor of Outdoor Photographer magazine, where his 'Tech Tips' column is widely read. His work is extensively published and exhibited, and his stock photography is represented by Getty Images, Corbis, and Photo Researchers. Lepp is one of the first members of Canon USA's Explorers of Light and Printmasters programs, featuring the industry's most influential photographers. Lepp has presented hundreds of lectures and led workshops all over the world. A founding board member of NANPA, Lepp has won many awards for his work, including the Photographic Society of America's prestigious Progress Award and PhotoMedia's Photographer of the Year Award. First trained in wildlife and wildlands management, Lepp later earned a BA (1972) and an honorary MSc (1985) from Brooks Institute of Photography. Our speakers will each give 75 minute presentations on a wide range of subjects on Saturday morning and afternoon, as well as on Sunday morning. We will run 6 consecutive sessions in each time slot to give you options of which speakers and topics you want to see. We have some great topics, so check the Breakout Sessions page for title and content details on each session. Our 75 minute breakout sessions are audio-visual presentations. They give you the opportunity to hear some of the world's best photographers' tips and techniques combined with seeing some of their best images. Each session also allows time at the end for questions and answers. All of these sessions are included in your conference registration fee. The breakout sessions will be held multiple times on Saturday and Sunday in groups of 6 sessions per time slot. Please see the Conference Program panel on the main menu for details of the days and times for the sessions. The speakers and topics will not be assigned to specific session time slots until closer to the event. The final schedule will be printed in the Conference Program, which will be part of your registration packet that you will pick up when you arrive at FGCU. For members of our FCCC affiliated clubs, your club will be selecting a small group of the club's best images to submit for our club competition. The images will be judged by a panel of our professional photographers. Your club will be receiving details of the competition, and submission requirements and deadlines, so check with your club if you are interested in participating. The competition is being generously sponsored by Sigma. In addition, Sigma is providing a $1,000 lens to the competition winner! Are you interested now? Canon is hosting a photo contest for all attendees at their Trade Show booth. You may submit one file on a jump drive or CF/SD card for printing. The image must be shot in Florida. To submit, please rename the file with your name. Jpegs, TIFFs or PSD files are accepted. Daily winner for Friday and Saturday will be awarded at the end of the day, with the grand prize winner judged on Sunday at noon. Grand prize winner will win a Canon Pixma Pro-1 printer to be shipped directly to your home or studio. Saturday - 7:30 a.m. to 5:30 p.m.
Sunday - 7:30 a.m. to 1:00 p.m. The Trade Show will give you the opportunity to get a hands-on look at the newest photography gear. Plus, you'll get expert answers to all your questions... something you can't get at any of the general purpose electronic stores! You'll be able to buy the new equipment you need (okay, maybe you don't need it, but you know you want it!) and probably take it home with you. Hunt's Photo & Video, the premier New England photography equipment dealer, will be there to show you their equipment, answer your questions, and take your order. Many of the major photography equipment manufacturers and service providers will have a booth where you can see the latest gear and talk to their experts. See the complete list below. SELL YOUR USED EQUIPMENT - KEH Camera will have buyers on-site to buy your used gear. Bring it with you! is sponsoring the FCCC Club Photo Competition! Click for Details! is hosting an Attendee Photo Contest! Click for details! Used Camera Store - Bring your used gear and KEH will buy it at the Trade Show! We could not offer you the quality of speakers and vendors we have lined up without the generous support of our many sponsors. Our advertisers are supporting the conference, so we hope you support them by taking a look at the ads they have placed in the conference program, and by making your next purchase from them. Your conference registration fee includes coffee and pastries on Saturday and Sunday. If you register for one of the Friday morning off-site outings, that fee includes coffee and pastries on Friday morning before you board the bus to the site. Lunches for all three days are on your own, and can be purchased at one of several on-site FGCU venues or at restaurants not far from the FGCU campus. Dinners are on your own. You can dine at any of the many options in Gulf Coast Town Center, which is where the hotels are located. See the list of options under the Details section, below. Of course, you can venture farther and take advantage of the excellent dining options in Fort Myers, Estero, Bonita Springs, or Naples, which are all a short drive from the hotels. You can dine at the beach or in one of the area’s many unique restaurants. FGCU offers a variety of lunch options in or near the Cohen Center, where most of the FCCC Conference activities will take place. You can grab a meal from one of the takeout bars and eat inside or outside on the patio. After lunch, or in lieu of lunch, you can browse the trade show or take advantage of one of the on-site photo ops to get some new images for your portfolio. They offer bagels, bagel sandwiches, breakfast sandwiches, coffee & espresso, salads and more. Whatever you're in the mood for, SUBWAY® has a wide variety of Subs, salads, and sides to choose from. Every one of their subs is made fresh in front of you, exactly the way you want it! You must be looking for the best and ONLY Truly Organic Pizza available. You know it's good, because it’s USDA Organic Certified and the only one in the entire U.S.! Gulf Coast Town Center is one of the area's largest outdoor shopping malls. All of the hotels we've contracted with for group rates are either in the Center or directly across the street from it. Everything is within 3 miles of the FGCU campus, so you would have no problem driving to one of the restaurants and returning in time for the afternoon sessions. Amore Brickoven Pizza specializes in New York-style pizza. They offer a variety of pizzas by the slice or whole pizzas. They have many authentic New York pizzas, including the New Yorker, Calabrese, Mediterranean, BBQ Chicken, and the Amore Special, which you can choose 5 of your own toppings. They also have salads, sandwiches, calzones, and strombolis. Amore's is a neighborhood friendly environment with outdoor dining. They also deliver! Their mission, vision, and values is to offer guests an atmosphere where they feel welcome and comfortable. To provide world-class customer service so each guest has a genuine experience. To offer an extensive menu of dining options to satisfy every customer. What sets Aurelio's apart from other Chicago pizza? They're different because they use only quality ingredients, serve a variety of generous sizes, and specialize in customizing orders to suit each individual taste. Since 1959, the Aurelio family has been devoted to offering the finest pizza, pasta and sandwiches at reasonable prices with fast, courteous, dependable service. Bar Louie is a hip neighborhood restaurant and bar specializing in oversized sandwiches and artfully created jumbo martinis, as well as appetizers, pastas and entrees, and a wide assortment of interesting beers, microbrews and wines by the glass or bottle. Open for lunch, dinner, after work or late-night dining. This Florida phenomenon is one of the most exciting and original sushi bars in the United States. Blu's American version of sushi fuses the refined art of fresh seafood creation with outrageous cocktails in a hip, fun and sophisticated atmosphere, creating an incomparable experience. A modern fast-casual burger restaurant that offers a unique variety of high-quality food in a hip environment with lasting appetite appeal to people of all ages. Innovative and delicious recipes for gourmet burgers, fries, salads, shakes and more in a modern and fun environment. Burger 21 offers unique burger creations such as The Ahi Tuna, Tex-Mex Haystack and The Skinny turkey burger, and signature shakes like Bananas Foster and Key Lime Pie. Calistoga Bakery Café offers a morning, lunch, and dinner menu in an upscale environment with a quick-casual flair. Calistoga showcases a visible, working bakery, with artisan bakers hand-crafting every loaf of bread and pastry in each store every day. 100% Certified Organic, Certified Fair Trade, Rainforest and Bird Friendly coffees. Known for their high-quality, flavorful Italian dishes served in a warm, casual environment, food and hospitality are the passions at Carrabba's Italian Grill, and the service is engaging and generous. Authentic aromas and generous flavors emanate from a lively and interactive exhibition kitchen where each meal is prepared to order. Many of Carrabba's recipes have been handed down in the Carrabba family for generations, originating from the family's native Italy. An inviting neighborhood restaurant offering hand-made, high quality food at a reasonable price. Connors Steak & Seafood offers casual dining in the heart of three bustling shopping centers: Turkey Creek in Knoxville, TN, Gulf Coast Town Center in Fort Myers, FL, and Bridge Street in Huntsville, AL. They specialize in fresh seafood and premium aged steaks, as well as gourmet salads, pastas and more! Enjoy a memorable evening with friends and family in their well-appointed dining rooms, or stop by for the lunch you and your associates deserve. Their friendly service and flavorful fare will keep you coming back for more. Culver's ButterBurgers are made the way they are today because that's how his mom always did it. Still, they use fresh, never frozen 100% Midwest beef, seared to perfection and served on a lightly buttered toasted bun for that extra touch of goodness. Sure, it takes a bit longer doing it that way, but boy is it worth the wait. Their commitment to crafting the world's finest Fresh Frozen Custard also remains the same today as when they served their very first scoop. They use the finest real Wisconsin dairy, plus cold-pressed vanilla and Dutch-blend chocolate, and make every batch fresh, right in the restaurant throughout the day. What is Culver's Fresh Frozen Custard? Think of it as the most premium ice cream you've ever tasted. Wonderfully luscious and rich, it contains less air, so it's creamier and more decadent than ordinary ice cream; and because it’s served at a temperature that won't freeze your taste buds, you actually experience the flavor longer. Come on down to Foster's Grille any day of the week and have a hot juicy burger and frosty cold beer. Let the kids knock themselves out on the video games. You never know who you might run into; it might be the whole neighborhood! Your favorite eat right, feel right cafe! Fresh Planet offers over 30 different types of smoothies! If healthy eating is your craze, then Fresh Planet is your place, serving fresh salads, an assortment of stuffed-toasted pitas, and delicious rice bowls. With 150 amazing craft beers on tap from around the world, you're sure to find one or 100 that you'll like, or just have fun trying. Tapas and an American food menu. Located inside the Bass Pro Shop, The Islamorada Fish Company is built around the largest saltwater fish tank in Southwest Florida. They serve fresh-daily seafood, falling-off-the-bone-ribs, juicy Angus steaks and more. Open 7 days a weeks from 11am-10pm. They feature a family-friendly menu in a casual dining atmosphere with plenty of room for your large party, all on a first come, first served basis. Come join the fun! Gourmet sandwiches and subs. The bread is baked in-house every day and served fresh. Meat and veggies are sliced fresh in-house every day. The turkey is real turkey, the roast beef is real roast beef - no additives, no vegetable-based fillers, no fake stuff. Nothing is delivered pre-sliced. Real Hellmann's mayo, real Grey Poupon, real olive oil and red wine vinegar - it's the best of the best. Where the intoxicating thrill of Duval Street meets the heart-pounding rhythm of dynamic dueling pianos. Nestled in beautiful Fort Myers, Florida, The Keys is your neighborhood destination for a truly unique and memorable dining and entertainment experience. Walk in the doors and walk into paradise - take pleasure in casual grub done island style, watch renowned entertainers tickle the ivories, and become a star when you join the fun and sing along piano-side. Sip a drink, enjoy the party, and stay where the fun never ends. They strive to be the best steakhouse in everything they do. One visit and you'll experience their grill master's legendary steaks like their center-cut Flo's Filet or Prime Rib. Try bold flavors from their seasonal Chef's Menu, or signature entrees like Parmesan Crusted Chicken or LongHorn Salmon. Their lunch menu also features over 30 different combinations, including their LongHorn salads and Steakhouse burgers. And don't forget to save room for their Molten Lava Cake. McDonald's USA, LLC, is the leading food service provider in the United States, serving a variety of wholesome foods made from quality ingredients to millions of customers every day. More than 80 percent of McDonald's 13,700 U.S. restaurants are independently owned and operated by local franchisees. Miller's Ale House features nautical-themed wooden décor, brass accents, wood booths, a satellite television system and plenty of video monitors in a comfortable sports-themed setting. Moe's Southwest Grill is the fastest growing fast-casual concept in the country because they take their food and fun seriously. It starts with a hearty "Welcome to Moe's" and ends with the best tasting burritos in the coolest environment. Moe's uses only the freshest ingredients in all of their Southwest menu items, which they prepare fresh daily. Providing consistently high quality food and service; generous portions at moderate prices; and a casual atmosphere suggestive of the rustic Australian outback, Outback Steakhouse is known for their high quality, uniquely-seasoned steaks, prime rib, chops, ribs, chicken, seafood and pasta. Established in 1988, there are currently 926 Outback locations throughout the world. Since 1997, Pinchers has operated with a simple mission - local fishermen fishing local waters for a local restaurant. You can't get a more Southwest Florida experience than that. Each morning, local fishermen and crabbers leave our shores and guide their boats out into the Gulf of Mexico. They return each night with the best that the Gulf has to offer and bring this precious catch to their local seafood facility - The Island Crab Company located on Pine Island. Quality is everything to a seafood restaurant, especially theirs, and this is how they deliver the best seafood in town to your table each and every visit. This is why their motto is "You Can't Fake Fresh!®"
They believe you don’t need to sacrifice your health to get a quick, tasty meal. That's why we start with their unique soft and roll-able pita bread, then fill it with your choice of lean, grilled meats, fresh vegetables, flavorful cheeses, and savory sauces. It's Fresh Thinking, Healthy Eating. The restaurant chain is best known for its marinated and grilled chicken served with black beans and rice. The unique restaurant concept is known for its fresh, never frozen, open flame grilled chicken, marinated in a proprietary blend of tropical fruit juices and spices, as well as authentic "made from scratch" side dishes. Red Robin is a casual dining restaurant chain focused on serving an imaginative selection of high quality gourmet burgers in a family-friendly atmosphere. Red Robin®, America's Gourmet Burgers and Spirits®, has won the "best burger" award, year after year in cities across the country. Salado Pedros Veracruz Cantina and Tequila bar has authentic mexican dishes; located in the center or heart of Gulf Coast Town Center; live entertainment. We have arranged group discounted rates and blocks of rooms at hotels within a few miles of both the airport and the FGCU campus. FGCU cannot provide dorm rooms as housing, because their dorms are full for the school year. We have also provided information on local RV parks for those who may be interested in that option. Don't wait on the hotel reservation! March is high season in our area, so the hotels fill up months in advance. Make your reservation today! Sorry, but Florida Gulf Coast University is NOT able to provide dorm rooms for the conference. Although our conference is taking place during spring break, the students will be returning to their rooms for the second half of the semester, and therefore dorm rooms are not available. Please note that Holiday Inn and Hilton Garden Inn have extended their discount! We have contracted with five hotels near the FGCU campus and Southwest Florida International Airport for attractive group rates and blocked rooms. These five hotels are the closest hotels to both the airport and the FGCU campus. However, there are many other area hotels available that you can investigate on your own if you don't see one you like in the group we have selected or if you prefer to stay on the beach. One of the many travel planning websites would be the best method of searching for other options. March is high season in Southwest Florida, so we could only block a limited number of rooms. If you want take advantage of our group rates at one of the five hotels listed below, please make your reservation early. In the description of each hotel, the cutoff date for the special group rate is noted along with information on how to make your reservation. Each hotel has provided a website link for our group reservations that is included in the hotel description below. If you prefer to call the hotel to make your reservation, please make sure you tell them you are with the Florida Camera Club Council (FCCC) in order to receive the group rate. In addition, if you plan to come a few days early or stay a few days after the conference, request the group rate for your entire stay - the hotels would not guarantee the rate for extended stays but they might provide it based on availability. Check In / Check Out Times: 3:00 p.m. / 11:00 a.m.
FGCU Campus Shuttle: Yes, limited seating so delays are possible. "Oasis" Restaurant and Bar serving breakfast, lunch and dinner; Daily happy hour. Jazzy Friday - live music entertainment, complimentary pasta station, Happy Hour beverage prices. Outdoor lakeside lounge with fire pit - perfect for social gathering. Complimentary shuttle to/from SW Florida International Airport (RSW) and within 3 miles radius of the hotel, including FGCU and Gulf Coast Town Center. Complimentary High Speed wired and wireless Internet Access. Outdoor lakeside swimming pool and Jacuzzi. Check In / Check Out Times: 3:00 p.m. / 12:00 p.m.
Group Rate Reservation Cutoff Date: The discount rate has now expired -- call as soon as possible to reserve your room before the hotel is booked! Suites include a full kitchen. Evening dinner and drinks Monday - Thursday. Complimentary wireless in-room high-speed internet. Complimentary airport shuttle 5AM to 11PM. Check In / Check Out Times: 4:00 p.m. / 12:00 p.m.
For RV owners, we were not able to negotiate special rates nor hold space at any of the local RV parks. You will need to call the parks that interest you to discuss space availability and rates. There are plenty of RV Parks in the area, but March is high tourist season in Southwest Florida, so you should contact a park quickly to make a reservation. Here is a link to the Good Sam RV Travel Guide & Campground Directory website for the parks in the area. In addition, the Koreshan State Historic Site has 41 RV spaces, but it’s very popular during season so you would need to book early. You can call 239-992-0311 for information. Florida Gulf Coast University (FGCU) is a modern, high-tech university that provides a great venue for our conference. All of our events will take place in two adjacent buildings on the campus, so you won't have far to go to participate in any event. In addition, the food court is located in the main building, so lunch will be convenient. Where else can you go to interact with professional photographers like the ones we have on the program? Don't miss them! Register now! We look forward to seeing you next March!